Venture away from the crowded bike lanes and jump aboard Surly's Midnight Special for a grand adventure on an array of forgotten back roads. The Midnight Special smooths chunky tarmac and bumpy dirt with its vibration-damping Chromoly steel frame and clearance for plump tires, allowing you to chase skyline beyond the city in total comfort. 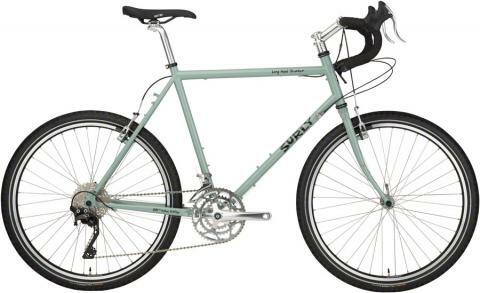 The Surly Pack Rat is designed around porteur-style racks and front-loading optimization, with a front cargo-specific design to eliminate steering issues. The fork features internal routing for generator hubs and rear frame dropouts to accommodate multiple drivetrain configurations. It’s an ideal choice for loaded commutes and bike trips with a lighter load, but also rides great when unloaded. Venture away from the crowded bike lanes and jump aboard Surly's Midnight Special for grand adventure on a plethora of forgotten back roads. The Midnight Special smooths chunky tarmac and bumpy dirt with its vibration-damping Chromoly steel frame and plump 650b x 47 WTB Horizon tires, allowing you to chase skyline beyond the city in total comfort. TRP Spyre mechanical disc brakes are steadfast no matter the conditions, and SRAM's Rival 22 drivetrain has ample gearing for climbing mountain passes and gliding along expansive landscapes alike. 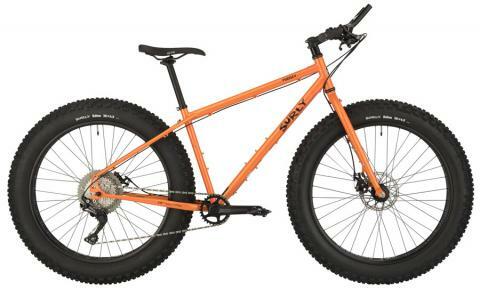 The Surly Pugsley may be the original fat bike, but this one is far from the original. 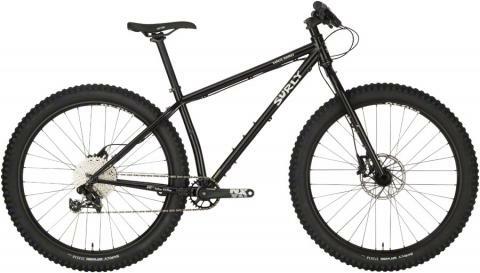 Previously a great all-around fat bike, the Pugsley has been redesigned to be an ideal off-road touring and exploration rig. 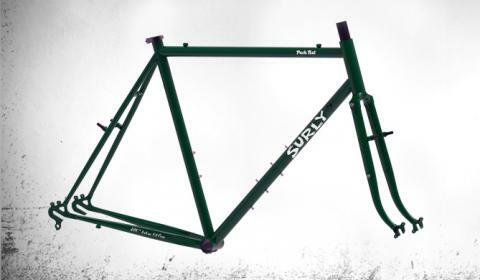 Surly lengthened the chainstays 12mm for stability when loaded and so your heels float effortlessly past panniers. The tweaked rear rack mounts on the dropouts let you center your rack over the wheel, despite the offset rear triangle. The Moloko Adjunct Personal Effects Receptacle is made from urethane-coated nylon canvas and designed to fit in the center of the Surly Moloko Bar. 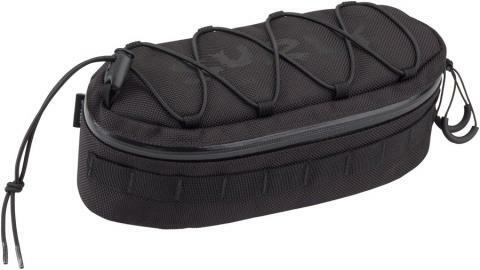 It has space for essentials and can easily be accessed while riding. The Pack Rat is designed around porteur-style racks and front-loading optimization, with a front cargo-specific design to eliminate steering issues. The fork features internal routing for generator hubs and rear frame dropouts to accommodate multiple drivetrain configurations. It’s an ideal choice for loaded commutes and bike trips with a lighter load, but also rides great when unloaded. Available in 650B or 26" wheels. The Karate Monkey features updated, progressive trail geometry, a new tubeset and Surly’s Gnot-Boost rear dropout system. Available in a variety of colors, with multiple drivetrain and wheel size configurations.